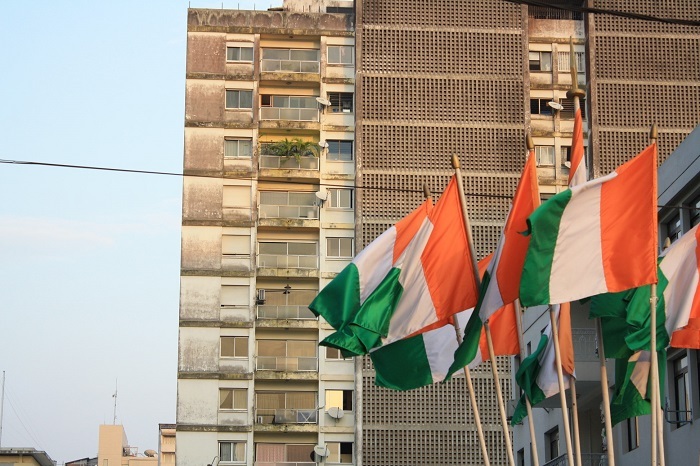 The Notre Dame d’Afrique, also known as Le Sanctuaire National Marial d’Abidjan or as the English translation would be the Marial National Shrine of Abidjan, is an important place of pilgrimage for the Catholic worshipers, which is located in the largest city of the Republic of Côte d’Ivoire, Abidjan. 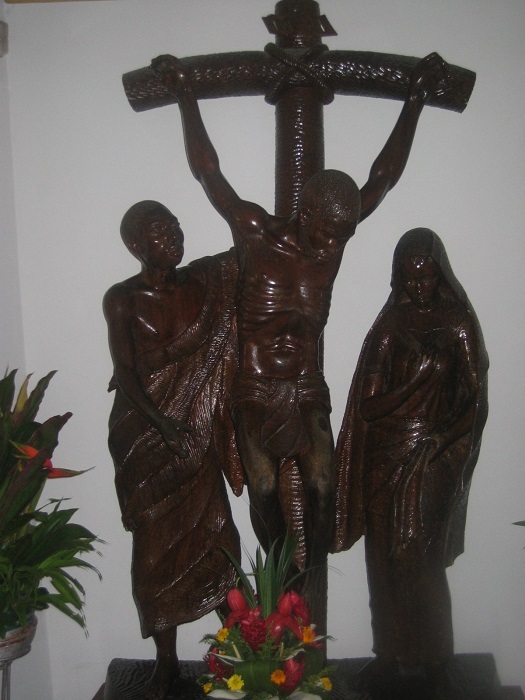 As there always have been wishes for the people to have a sanctuary which will be dedicated to the Virgin Mary, it was Monsignor Bernard Yago the principal indicator for the construction of this interesting sanctuary. 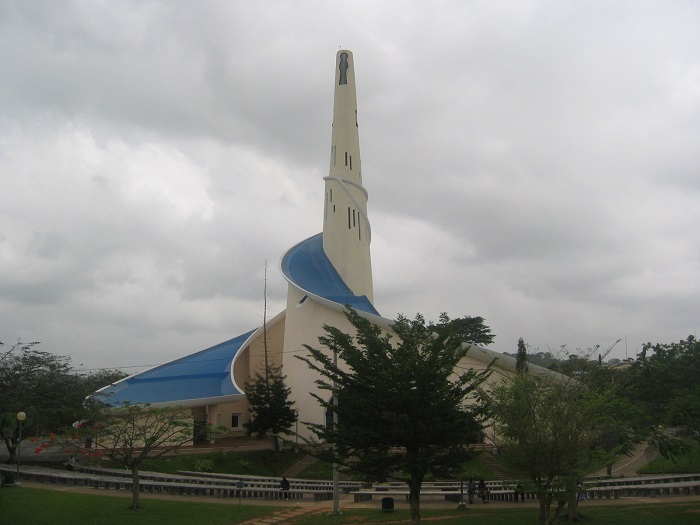 When the Pope John Paul II visited Côte d’Ivoire in May 1980, he blessed the first stone of the new Saint Paul’s Cathedral, which was put in the Plateau district of Abidjan, and in the same time he did it with this Sanctuary. 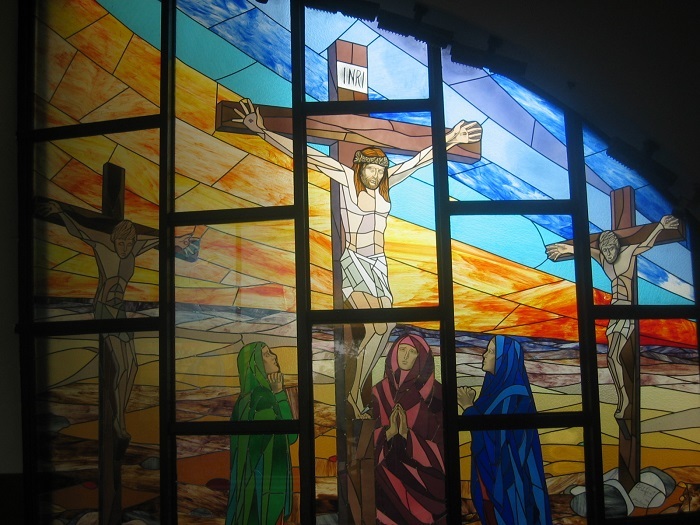 He then suggested the name of the new worship place which it is today, and Monsignor Bernard Yago even added the “Mother of All Grace”. The beginning of the construction began to intensify in February 1985, and in two years time, the sanctuary was finished. 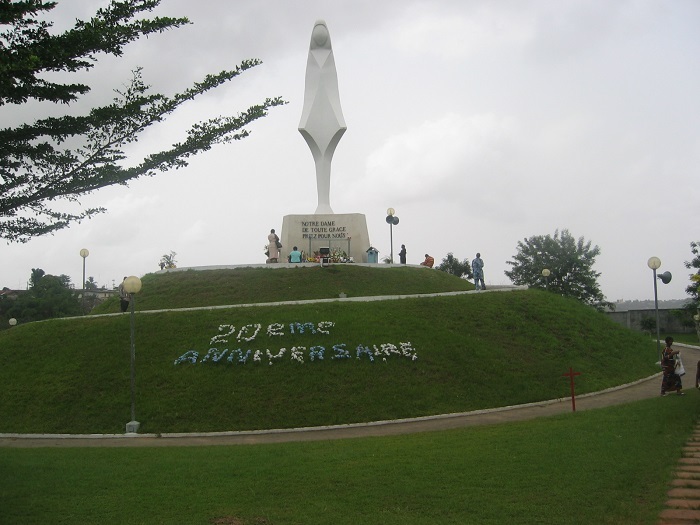 It was right on time for the Marian year, which was celebrated by the entire church in Côte d’Ivoire at the invitation of Pope John Paul II, and on 1 February 1987, the religious object was consecrated. 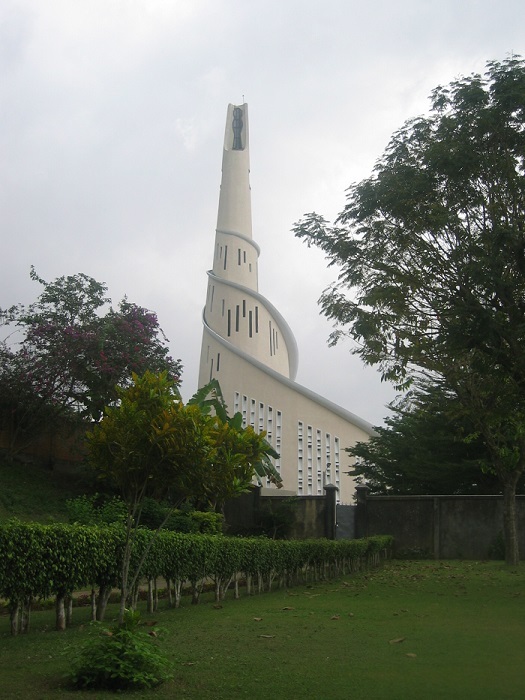 The impressive church is quite unique due to the spiral central tower that reaches the heavens, and there is also a shape of the Virgin Mary carved in the concrete tower at the top. Still, the confluence of two structures is interesting, as there are two objects creating something good which then continue to raise up. In addition, there is also a small chapel on the grounds, as well as large open amphitheater which is perfect for big gatherings. In the back of the amphitheater, there is a tall abstract statue of the Virgin Mary on a big pedestal on which is written: “OUR LADY OF ALL GRACE PRAY FOR US”. 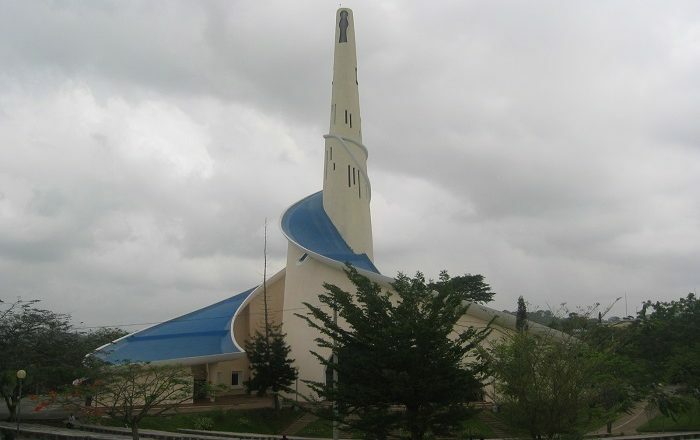 Being one of the most interesting religious structures in Abidjan, this small but impressive church is something out of the ordinary and very interesting for all of the visitors and also those who would like to say a grace.